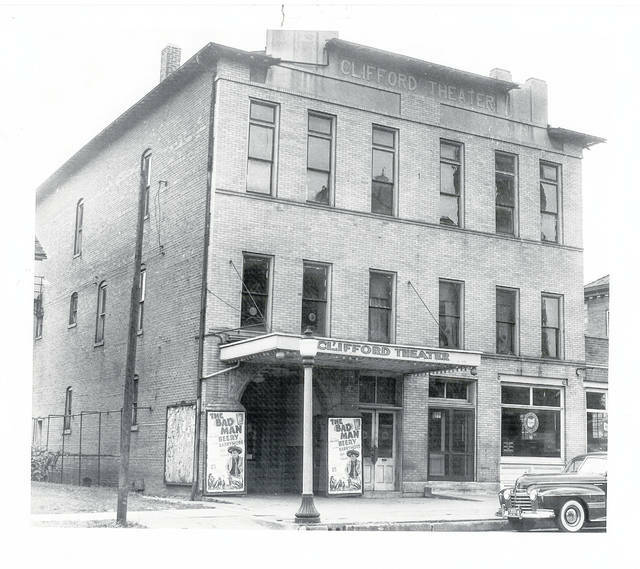 Then – This is a circa 1941 photo of the Clifford Theater at 216 S. Main St., Urbana. Now –This 2018 photo of the same site shows the current Gloria Theatre. The first sentence in “Billy Single Clifford and The Clifford Theater” by Melanie Shipley is: “About 1903, Billy Clifford walked into Urbana, Ohio’s old *Brunswick Hotel on North Main Street, and said to the habitués, ‘Boys, know what I’m going to do? 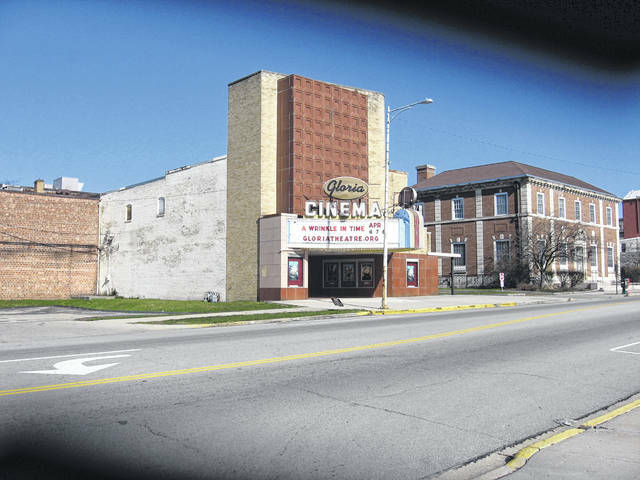 I’m going to build a theater; I mean a real theater, in my mother’s back yard.’” Billy Clifford did build the Clifford Theater in 1904 on South Main Street. The building required one-half million bricks and cost approximately $75,000. The Clifford Theater was open to the public on Tuesday evening, Oct. 18, 1904. A fire in the theater occurred in May of 1918. The fire was attributed to an overheated motor used in operating the big Wurlitzer organ. “The Bad Man” was released in 1941 and starred Wallace Beery, Lionel Barrymore, Ronald Reagan, Henry Travers, Chill Wills and Larraine Day. A previous version under the same title was released in 1930 with different players. This photo must have been one of the last of the Clifford Theater in operation before Warren Grimes purchased it. Submitted by the Champaign County Historical Society, an all-volunteer, not-for-profit organization that preserves, protects, archives and displays the artifacts that tell Champaign County’s history. The society operates on donations and dues and has a free public museum of history at East Lawn Avenue in Urbana.